Our Brisbane office has a well equipped workshop for the fabrication of replacement baskets and screens. 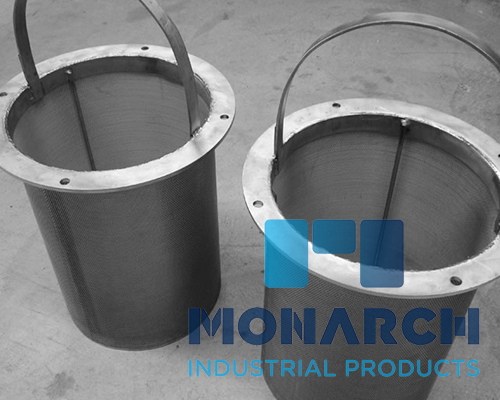 Monarch manufactured products are supplied to domestic customers and export customers in Asia-Pacific and North American region. To assist us in providing a quotation, please use the below editable PDF drawings. We also keep in stock a standard range of baskets to suit the Eaton and Hayward simplex and duplex basket strainers. To assist us in providing a quick, accurate quotation, please use the below editable PDF drawings. Strainer basket with Truncated cone insert offering a increased gross surface area.